This year’s IETM plenary featured a performance strand. It was uniquely British yet boldly universal for the international delegates who gathered in Hull for the last four days of March – scheduled to tie in with March 29, the date originally proposed for Brexit. 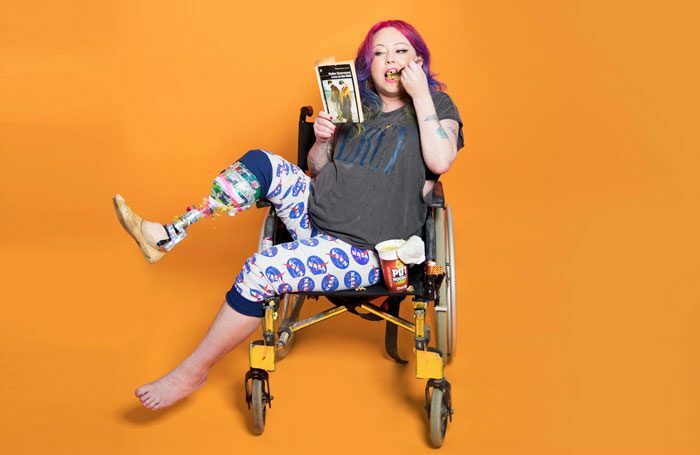 Jackie Hagan, best described as “working-class, queer, disabled, poet, performer and theatremaker”, was invited to showcase her dissection of UK society, This Is Not a Safe Space. It was a canny choice to present to a Europe that’s now uniting around inclusivity and is curious about how this has evolved in the UK, where the performing arts have long been a leader in the field. Considering that international audience, did Hagan have to consider making some concessions in making her full-on delivery and content, well, accessible? “Yeah, of course,” she acknowledges. “My show is very chatty, I make a direct emotional connection with the audience [members], I acknowledge them a lot, it’s very intimate, so I want them to know what I’m on about most of the time. Hagan did, though, change some references that wouldn’t land. “I changed Jedward to Donald Trump, which sounds crazy but the gag was basically poking fun at Jedward/Trump for being unlikely to exist, so when it’s Jedward it’s more laughter, with Trump there’s more sad fury. I also swapped ‘The blonde woman from Birds of a Feather’ to ‘your nan when she takes her teeth out’ – that one is explaining what my stump looks like before I do stumpuppetry (I’m an amputee). Awareness of Hagan’s work has already started spreading overseas. She was in Rio recently for a slam, and then performed an excerpt from This Is Not a Safe Space in Toronto at the second Cripping the Arts symposium. As a result of IETM, there’s now interest from Germany, Hong Kong and Australia.